Recently The Republic of the Philippines drafted and passed a national telecommuting policy. Why did they do this? Was it a necessity? Would it work for other countries? Hubstaff takes a look into the new policy and whether it could work in the U.S. or not. Changes in modern technology – Since more and more of their citizens are using the Internet, cell phones, and other ways to communicate, there is less of a need to go into an office daily for work. Traffic concerns – There is an increased amount of traffic in the Metro Manila area, which coupled with weather issues is making commutes longer and longer. Plus, they have found these commutes to have a negative impact on their citizens’ health. And, they even cited a U.S. study done by Washington University in St. Louis to back up these claims. In this study, this University stated higher blood pressure, more body weight, and less physical activity was due to commuting times. All of these, of course, can lead to larger health issues like heart attacks. Cost of commuting – Due to projected commuting costs like the price of gas, car maintenance, and possible traffic accidents, The Republic of the Philippines sees telecommuting as solving these issues. Work/life balance – Since employees won’t spend time in traffic to and from work, this allows more time for work and frees up family time. Building upkeep – With more employees telecommuting, businesses can downsize or even eliminate the need for an office. This saves on rent, office supplies, and utilities. Larger workforce – Employees like retirees, stay-at-home parents, the disabled, and people who live in rural areas may not have applied for onsite city jobs in the past. Employers who offer work-from-home positions will attract these potential employees widening their talent pool. Results-oriented management technique – The Republic of the Philippines found this style to be the most effective when telecommuting. Results-oriented management technique is a management style started by two Dutch citizens, Jan Schouten and Wim Ban Beers. Simply put, this technique lays out what is expected of employees upfront and then employees determine how to meet these company goals. Although this is just one country, what about other countries around the world? Do they have telecommute policies in place or do they have telecommuting employees? According to a study done by Ipsps for Reuters News, 17 percent worldwide say they partially telecommute and around 7 percent of these employees work from home full time. 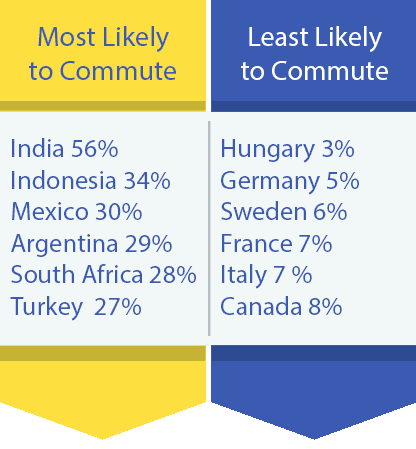 If you take a look at which countries telecommute the most, it’s mostly emerging markets like the Middle East and Africa ( 27 percent), Latin America (25 percent) and Asia-Pacific (24 percent.) Lagging behind is North America and Europe both at about 9 percent each. Finally, where does the U.S. fall? At a mere 4 percent of employees who telecommute full-time. Why are less U.S. companies telecommuting and not more? Several U.S. companies have been in the news for eliminating or downsizing their telecommute programs like: IBM, Yahoo, HP, Bank of America and Best Buy. But why? Several of these companies were in situations where they needed to make changes to compete with the marketplace. Plus, they felt telecommuting was hindering their ability to generate new ideas. Entrepreneur Magazine even went so far as to call telecommuting a trend. In fact, telecommuting is going down in the U.S. New data from the Bureau of Labor Statistics American Time Use Survey showed the number of U.S. workers partially or fully telecommuting dropped to 22 percent in 2016. This is down 2 percentage points from 2015. Employees not focusing on work: Some of these companies found employees were not working their set hours and focusing more on their home life. Delayed responses: Since employees worked in different timezones and relied mainly on computer software for project updates, work was slowed down. Production timelines became longer. Not competitive with smaller companies or start-ups: Most if not all of these companies are large marketplace leaders. They know the players within their area of expertise. However, every day new startups are happening and with the Internet, it’s easier than ever for these smaller players to become industry leaders faster and faster. In order to stay competitive, these industry leaders needed to constantly reinvent themselves. Having an office setting to consistently generate new ways to beat out the competition, they found, was crucial. Harder to manage large teams: Again since these companies are industry leaders, they have fairly large workforces. They have found it’s harder to manage such a high number of remote workers. No policy in place: Some companies either fell into telecommuting or never took the time to draft a policy. For that reason, telecommuting never worked well for their employees. Simple online timesheets that reduce administration so you can focus on what’s most important - your people and clients. Is telecommuting a good option for U.S. employees? So with all these large U.S. companies scaling back on telecommuting and even some smaller ones, does it make sense or is it just a trend? A lot of these reasons cited above for eliminating telecommuting can be solved. Employees not focusing on work. This is easily solved with time tracking software. With a system like Hubstaff, employees install this program on their computers and it helps both employees and employers to stay organized. Employees can see how much time they are spending on work and can allocate personal time too. 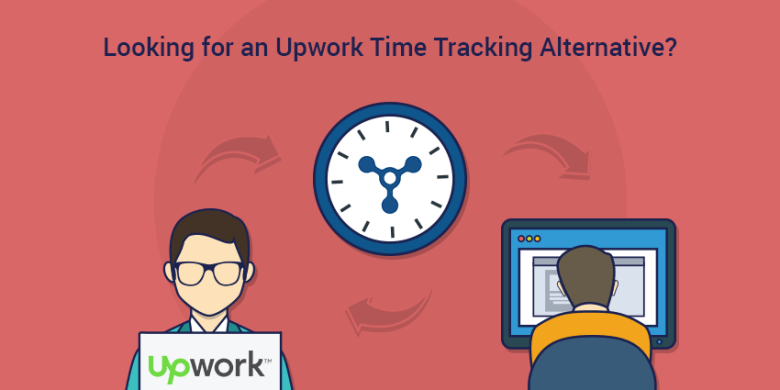 Employers can track how much time employees are working and how much of it is spent productively. Plus, they can easily see if employees are meeting the necessary hours assigned. Building a strong culture. Employees in the office have the ability to congregate in the break room, take a lunch with coworkers or have a birthday celebration in the middle of the day. All of these build a strong team and reinforce motivation on the employees’ parts. When you are remote, it can be isolating. That’s why it’s important to find ways for employees to get to know each other on a personal level. For example, as an employer, send out a group email with a personal question that everyone can answer. Or have everyone who has a fitness tracker use a program to track their steps as a company and keep each other motivated. Or give out rewards for top achievement with bonusly. Then give monthly recaps of what these top producers did to earn these rewards. 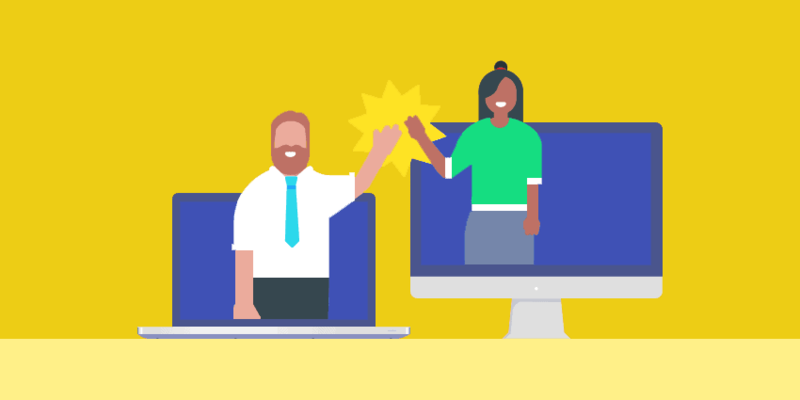 Not only does it showcase team talent, but it helps connect remote workers. All of these examples will help unify employees and make them more invested when it’s their set work hours and less likely to abuse a work-from-home arrangement. Delayed responses. Several of these companies stated that solely working with programs like Asana or Trello to communicate caused project response times to slow down. When working remotely, communication is even more important than when onsite. Relying solely on a computer software program for communication is a mistake. When you are not in an office setting, comments can be misconstrued, missed or even ignored. Response time can improve greatly with conference or video calls. Setting these weekly calls can bridge the communication gap. Project management software is necessary for managing projects, but it shouldn’t take the place of status update calls. Hard to manage large numbers of remote workers. Just like any company, as the team or employee count grows, the strategy for managing needs to evolve. But being totally remote does not need to hinder this process any more than it would in the office. Again this goes back to finding a communication strategy that will work well for your growing team. Some companies have said Google Hangouts works for smaller teams, but not for larger ones. So maybe you switch to Zoom which can accommodate up to 500 employees on a call at once. There are several tools available today that make managing any size remote team seamless. Telecommute policy not clear. When you start a company, you need to have several plans in place: marketing, business, strategy, and growth. So why wouldn’t you have a telecommute policy as well? A lot of times companies fall into a telecommuting workforce and don’t have a clear policy in place. This can result in problems from legal to HR issues. Developing a telecommute policy is easy and should be created before any of employees start working remotely. This will ensure everyone is on the same page from the beginning and will create a seamless process as new teleworking employees are brought on board. Who would benefit from a telecommute policy? 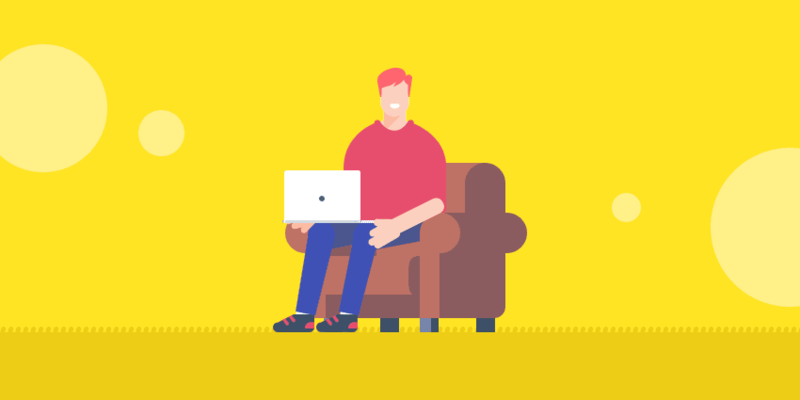 Although any employee could really benefit from telecommuting, there are certain groups where telecommuting fits better than others. Millennials: According to Paw Research, Millennials makes up the largest percentage of the U.S. Workforce. Plus, many are asking for work-from-home opportunities. As a result, a telecommuting policy would be great to support this large percentage of the workforce. Millennials and technology go hand and hand so telecommuting would be a seamless fit. Baby Boomers: Although many baby boomers are on the verge of retiring, many are staying in the workforce longer. This goes along with the average age of retiring increasing each year. And this older generation is also working remotely already. According to the 2017 State of Telecommuting study by FlexJobs and Global Workforce Analytics, employees who are 65 or older are 1.7 times more likely to telecommute. It also states that telecommuters earn more than in-office employees by about $4,000 a year. Telecommuting can give Baby Boomers the advantage of shorter commutes, more work/life balance, and an increased flexible vacation schedule. Working Parents: According to the FlexJobs survey, Working Parents in 2017: What They Want at Work, working-parents surveyed said work/life balance with 81 percent responding yes and flexible schedules with 76 percent responding yes were more important than salary of 72 percent of responses when choosing jobs. This is no surprise as working parents strive to have a great work/life balance. Work is important, but so are doctor visits, in-school parent/student projects, and after school activities. All of which take place before most working parents would be home from an in-office job. Of course a telecommute policy is great for some of the workforce, but it won’t work for all workers. The two groups telecommuting will never work for? Jobs that have to be done in-office: This sounds like an obvious one, but companies really need to consider which jobs have to be in-house before introducing telecommuting. Jobs that require constant interaction, have special equipment needs or jobs that require regular evaluation, will not work for telecommuting. People who need to be in-office: Just like it takes a special person to live in a space station alone for a year, it takes a special person to telecommute. Companies need to make sure employees are motivated, are willing to get the job done on time, and are okay working alone. Some people need interaction throughout the day and this needs to be considered before introducing telecommuting. Should there be a telecommute policy in the U.S.? It doesn’t seem that telecommuting will be going away anytime soon. Especially with the largest workforce, Millennials, requesting it. So should there be a federal law in place to support it? What are your thoughts? Please comment below and share your ideas.